This pre-conference event investigates the new and emerging role that libraries play in contributing to the adult learning and literacy space, and how adult education centres such TAFEs, community centres and other adult language, literacy and numeracy providers can work together to improve community literacy. Adult Literacy Connect is a network of adult language literacy and numeracy professionals that formed in 2016 after an Adult Literacy Round Table event at the State Library of Victoria. They are committed to working together and sharing resources and ideas to promote adult literacy. With support from the Reading Writing Hotline and State Library of Victoria, Adult Literacy Connect is currently conducting research towards establishing an online portal of quality curated teaching and learning resources. This significant project is aimed at addressing the needs of adult literacy practitioners (teachers, tutors, librarians, volunteers) who are supporting beginning level adult readers and writers. Recommendations for the portal design will be finalised in early 2019 and the ALC group encourages all adult literacy supporters to contribute their thoughts. Come to this event to learn from each other about adult literacy needs, resources, supports and challenges. Join the discussion on what an adult literacy resource portal should look like and network with others in your field. 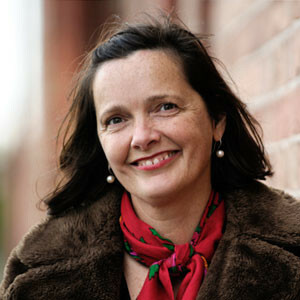 Hear from guest speakers and other collaborative adult learning projects, and delight in the talents of Catherine Deveny, who will regale us with her comedic wit, and host our teacher-librarian speed dating activity – what a match! Catherine is a writer, comedian, author, social commentator and speaker well known for her work as a columnist with The Age newspaper, as a Melbourne International Comedy Festival favourite and as a ABC regular. Wedged between her busy speaking schedule and working on two books for Black Inc Books she is currently a columnist for the Guardian. Deveny’s television work includes Network Seven’s Tonight Live with Steve Vizard, Full Frontal, ABC TV’s Good News Week, BackBerner and Q and A, Network 10’s Rove Live, The Wedge and skitHOUSE and The Project. She performs regularly on radio and television and was a popular fill in broadcaster on 774 ABC Melbourne. A long supporter of raising awareness of the importance of LLN, Catherine will reflect on her own diagnosis of dyslexia and the journey to writing including her books “Use your words” and her latest book, “Mental!”. 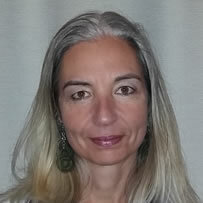 Vanessa is an experienced LLN practitioner and manager of the Reading Writing Hotline. She coordinates a national database of LLN providers and a team of experienced teachers who field enquiries from individuals, organisations and industry. Vanessa also currently manages several national projects improving the Hotline’s engagement with Aboriginal and Torres Strait Islander people and organisations, with industry and with the library network. 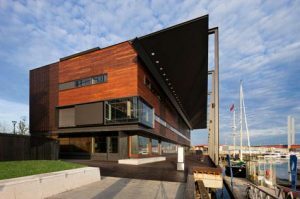 Library at The Dock, one of six public libraries and one of community hubs in the City of Melbourne, is the civic heart of Docklands. It offers traditional and digital catalogues, free wi-fi, a range of unique events and multipurpose rooms for hire. 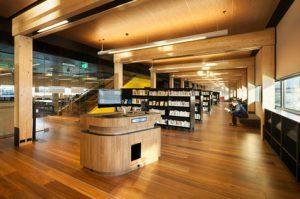 At three storeys, 55 metres long and 18 metres wide, and made from engineered timber and reclaimed hardwood, Library at The Dock is Australia’s first 6 star Green Star rated public building, as awarded by the Green Building Council of Australia. 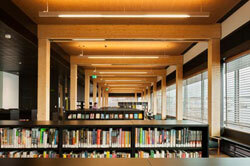 It’s also won several other sustainable design and architecture awards since opening. Non-fiction section – that’s a fact!